From Abantes to Zninthe, from Athena to Zeus, this invaluable alphabetical guide to the myths of Greece and Rome is the definitive handbook for discovering the true identity of the epic heroes and gods who have found their way into all the great literature of the world. Drawn from original sources and later variants, this comprehensive volume consists of both complete stories and short identifications of the charcters, events, place names, and constellations which compose the rich body of ancient Greek and Roman literature. And for a fuller perspective of this mythological realm, there are maps of the classical world, geneological charts of the great royal lines, and a pronouncing index which gives both English pronunciations and transliterated Greek spellings. 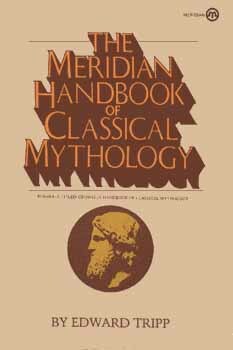 The Meridian Handbook of Classical Mythology will be welcomed by students, teachers, librarians, readers of great literature, and -- most of all-- by lovers of good stories. A worthy addition to reference collections dealing with the imaginative world of the Greek pantheon.